Honey has been consumed since antiquity, and until recently it has been humanity’s only sweetener. During the Middle Ages, sugar extracted from sugarcanes was exported from Bengal, or various other South American countries. Sugar was a rare and expensive commodity, not widely available to the common folk. In the 19th century, sugar made from sugar beets became popular, due to new methods of extraction becoming available. Sugar subsequently replaced honey in our everyday diet, the overconsumption of which has been reportedly damaging to human health. When honey is consumed, the human body absorbs the amount of glucose it needs, which happens in a more controlled way than that in which refined sugars are absorbed. Saying that, a lot of us still enjoy the raw taste of good honey and will go to great lengths and expense to source the best organic honey money can buy. This is where Greece comes into the forefront, as one of the world’s most quality exporters of honey. 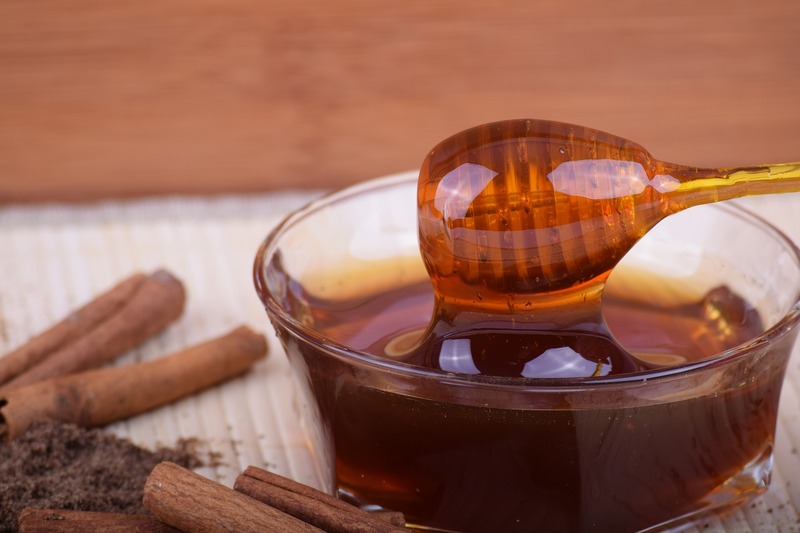 Greek Honey – Why is it so Special? Greece’s honey producers are many, and the country boasts the most beehives per acre than any other European country. Greece’s warm climate is a major factor in the production of quality honey, as it ensures the abundance of wild plants. Without the need to create monocultures, bees are able to feed from the wild plants and produce one of the most incredible honey, which is low in moisture and thick in texture. A recent research conducted by the Aristotelian University of Thessaloniki, indicated that Greek honey is indeed the best in the world. After analysing 48 different varieties of honey from different geographical areas of Greece, scientists found that Greek honey had significantly more superior properties than the world famous Manuka honey. Compared to Manuka honey, Greek honey was found to contain far more antioxidant properties. In particular, the varieties of honey found to surpass Manuka honey in quality were those made by bees feeding on oak tree, fir tree, heath, chestnut tree, pine tree, thyme and orange blossom. 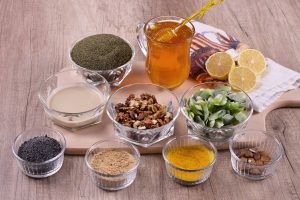 The antioxidant properties of the aforementioned honey varieties can be useful in eradicating the free radicals responsible for cell damage leading to illnesses like cancer. Contrary to sugar, honey is an organic product with a significantly higher nutritional value. Some would say that putting sugar in your body is like putting cheap diesel in your car. It functions with both, but in the end the one fuelled by high quality diesel will last longer and will perform better. There are many varieties of Greek honey, such as floral, honeydew, thyme and conifer honey. Each Greek region has different principal varieties, which they specialise in according to the plants growing in them. Honey is one of the few foods the organic qualities of which have not been destroyed by industrial processing and pesticides. This is because because bees have a natural instinct which guides them to feed off flowers that are clean. The best way to access quality honey is straight from the producer, or through brands that are dedicated to sourcing raw organic honey. Honey sold by supermarkets is a whole different ball game, as quality has to sometimes be sacrificed for mass production. The health benefits of honey are many and well-documented since antiquity. Hippocrates, the father of medicine used a concoction of wine and honey to treat patients with many ailments, as he considered it beneficial. The way honey bees collected pollen and produced honey was also admired in ancient Greece, by many, including Aristotle, who designed and constructed a glass hive, so he could more easily study the way bees worked in perfect harmony, providing him with an example of the ideal perfect state. It was also reported that Spartan soldiers lived exclusively on a diet of honey, while in training for approximately a month. Furthermore on the health benefits of Greek honey, thyme honey possesses an incredible aroma, and it is renowned around the globe. High in antimicrobial properties, thyme honey is considered to be the king of Greek honey, with orange blossom coming in a close second. Orange blossom honey is rich in antioxidants and antimicrobial properties; it also has significant bacteriostatic properties.